I have been looking at shoes in the sales and I would have brought both of these had they been in my size. 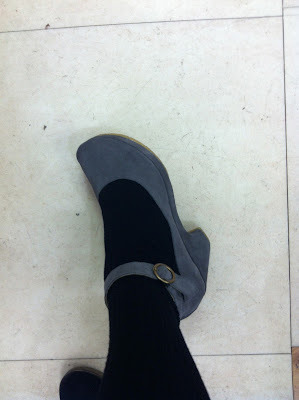 The grey suede shoes were in Clarks and the black suede shoes were in New Look. Both were just one size too small and I am beyond buying shoes in the hope they will stretch. Ah well.